Owning a swimming pool comes with a number of responsibilities for you to have it ready for use at most times of the day. Neglect or ignorance shouldn’t be an excuse for poor maintenance of your pool as it may cost you in the end. We, as your potential contractor, can assist you in keeping it in the best conditions for you to use. Once, twice or thrice in a month, we will send our team to have a check on it and its system to ensure it’s in a good state. Our offices here in Danville are easy to locate and open for the most hours of the day until nightfall slowly edges in. Call (925) 269-9399 ​for an estimate in Danville for swimming pool care. Above ground swimming pool maintenance. In this step, we check the chemical levels in your pool. Chlorine should be kept on a required level and should be constant as its contribution to your pool is very important. We either use test strips or liquid kits to check on the level. However, we find the liquid kits more efficient for this practice. This will help keep of bacteria and algae from infesting in your investment and recreational feature. Having a lot of chemicals in your pool may also be a problem. The water to chemical ratio should be in restored when the chemicals are in huge quantities. This is immediately corrected if an issue is uncovered. Your pump timer is checked to ensure it is functioning as required. The pump should run a minimum of 10 hours for it to be filtered effectively. Backwashing- This is carried out to omit the dirt that has been trapped at the filters. Reversing the water helps do away with it. We check your above pool walls to ensure they are okay. These is pool walls may bulge out in unnoticeable incidences making it fragile when containing the gallons of water it constrains every day. Sufficient repairs take place when this is noticed. We check your pool liner to ensure it doesn’t have holes or punctures on it. The water balance or water to chemical ratio is vital for this exercise as it may make the pool liner brittle and an easy target for tearing. Pool equipment like pumps and filters are scrutinized for flaws or faults. They undergo rectification to ensure they can carry out their main tasks and give maximum output. Those that may convince us to be so are left to carry on while those that need replacement are withdrawn from the system. Above pool cleaning services is a different domain from what we carry out above. However, we mostly provide both services when we draw a contract with our clients. 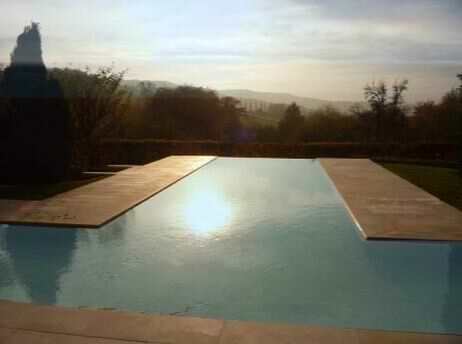 Above pool cleaning services entails brushing, vacuuming and skimming. Get in touch with (925) 269-9399 ​ for our Danville pool cleaners.